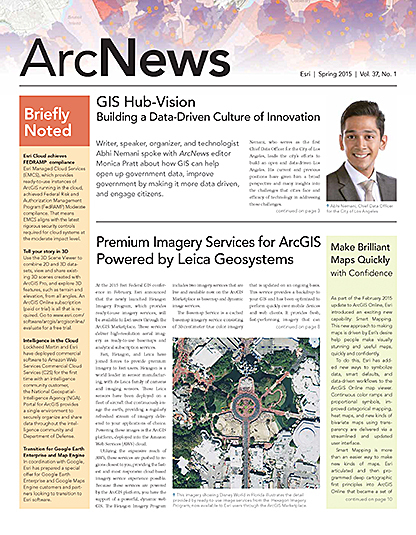 GIS technology can serve as the open data backbone for your organization, unlocking your data stores so you can share them as your organization sees fit. Governments and organizations create Open Data sites to make their authoritative data accessible, investigable, and collaborative. Visit the ArcGIS Open Data Showcase to see more and find out more about how to create your site. Tampa’s Open Data Share has become very popular in the Tampa community since its launch in the fall of 2014. 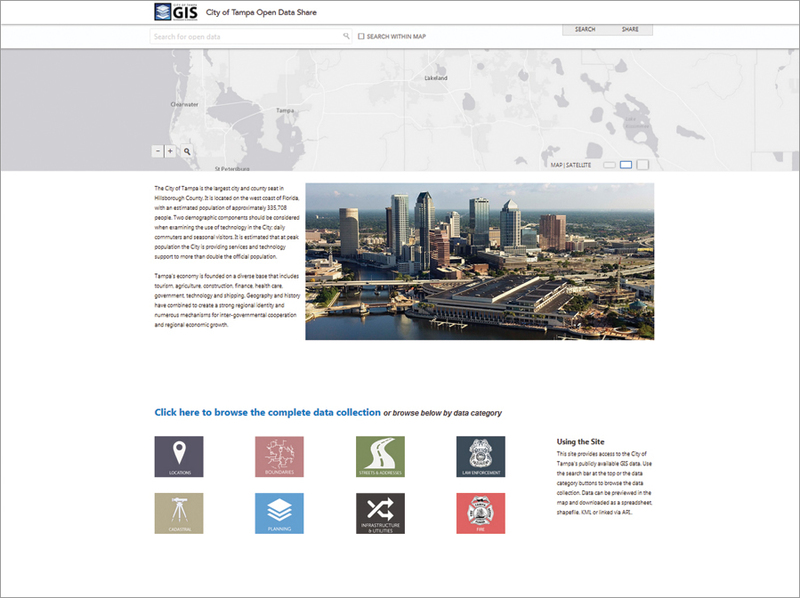 The site boasts 60 datasets linked directly to Tampa’s geodatabase, ensuring users have access to the most authoritative and timely data to explore and download. 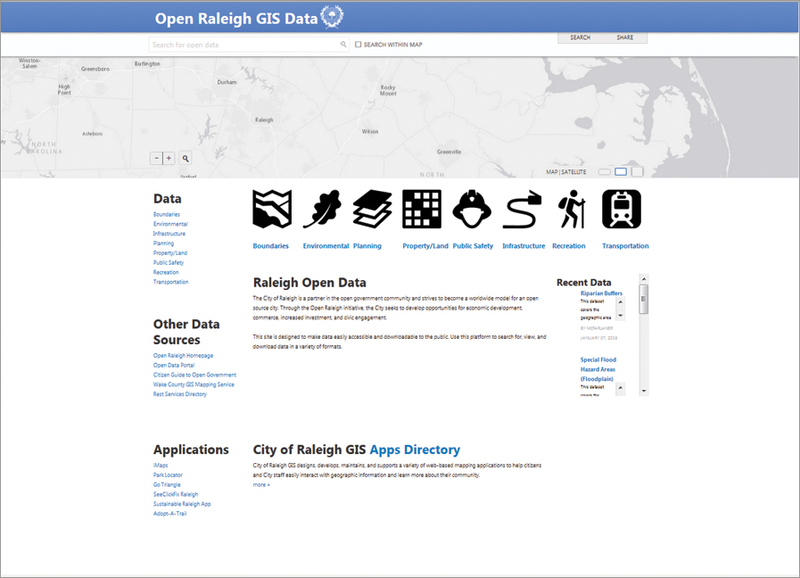 The City of Raleigh, North Carolina, has created its Open Data site as part of the Open Raleigh Initiative. The city used a hybrid design approach that incorporates simple CSS in the header and a few widgets in the body to create an informative site with many resources. 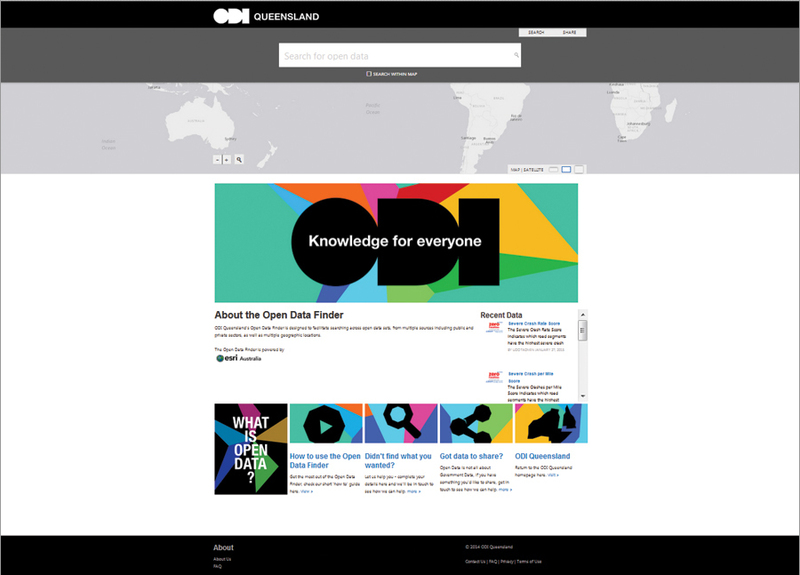 The Open Data Institute Queensland (ODIQ) is the first Australian international node of the Open Data Institute. It collected all authoritative datasets across ArcGIS Open Data sites to facilitate data discovery for geographies around the world.